Its been a very busy second half of the term concert wise, with every single one of our main ensembles performing at least once, and many performances from our Small Groups as well. Here’s a little bit about how they all went! First up on the agenda was the Concerto Concert, featuring String Orchestra, Choir and Symphony Orchestra and held at the Chaplaincy Centre. String Orchestra were first up, starting the concert off with some beautifully played pieces, including a Romance by Finzi and the Danse Bacchanale by Saint-Saens. Next up was Choir, who mixed traditional with contemporary in their song choices, singing a range of songs including the May Night by Johannes Brahms and a choral arrangement of Royals by Lorde. The acoustics in the Chaplaincy Centre really complimented the beautiful singing of the choir, making their set one which was thoroughly enjoyed by all. Finally the Symphony Orchestra took up the reins, performing three pieces including Viotti’s Violin Concerto no.23, with soloist Harry Messenger and Haydn’s Trumpet Concerto, the namesake of the concert, with soloist Ashley Wicks on Soprano Cornet. Both soloists performed superbly and were supported by the excellent performance of the orchestra as a whole. This concert was also the official handover concert for the new committee, where they get to learn the ropes from old committee, as a way to ease them into the running of the society. A hugely successful and enjoyable night, it perfectly set up the new committee for the year to come! Many thanks to last year’s committee for all your hard-work and helping us adjust to our new duties! 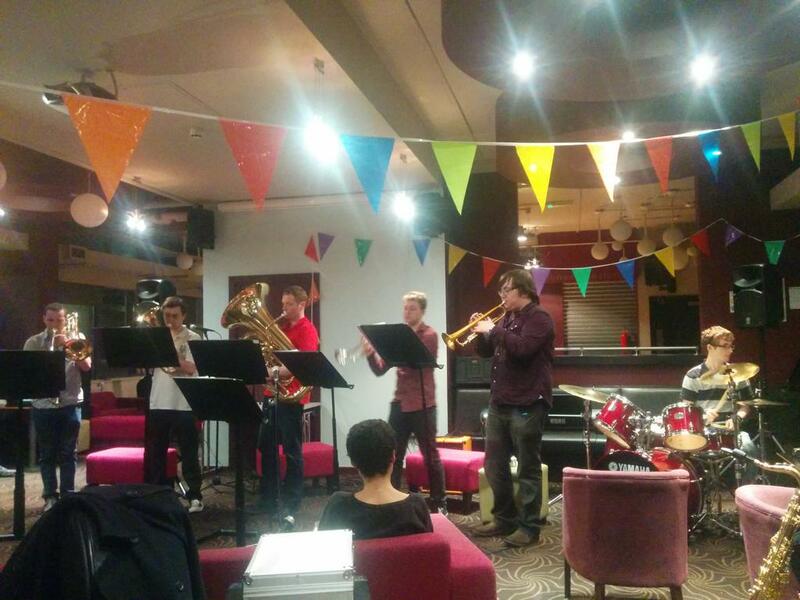 Following on from the success of the Concerto Concert on the Saturday, the Big Swing was held at the Dalton Rooms the following day, featuring music from Swing Group, Jazz Combo and Big Band. Swing Group were up first, playing a longer set than usual which featured some old favorites. The atmosphere in the room was truly excellent, with Swing Group’s superb playing being followed by the Jazz Combo. Having busked in the week before to advertise the Big Swing, the Jazz Combo gave a polished performance that was very pleasant on the ears. Finally the Big Band took the stage, performing a variety of songs, including some of their pieces from their upcoming Sunderland contest. Their performance was highly entertaining, providing a fitting ending for a great night of music. 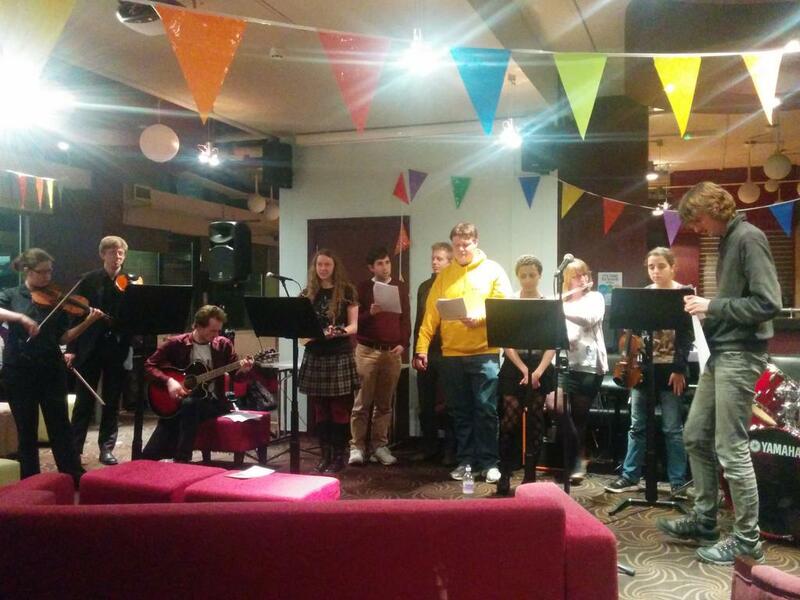 Friday Week 9 saw our Small Groups Showcase – held in County Bar, this casual event saw seven of our Small Groups perform, with a wide range of musical genres showcased. Despite some initial confusion over who had booked the bar when, and a last minute shift from Thursday to Friday, the night ran smoothly, and was a real credit to the strength of the Small Groups within ULMS. 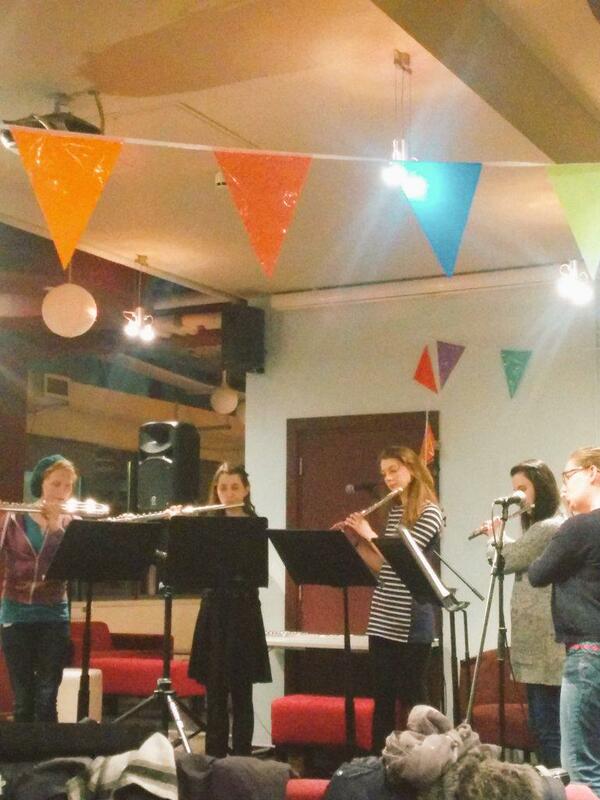 Campus Fest saw performances from all of our main ensembles and several of our small groups. 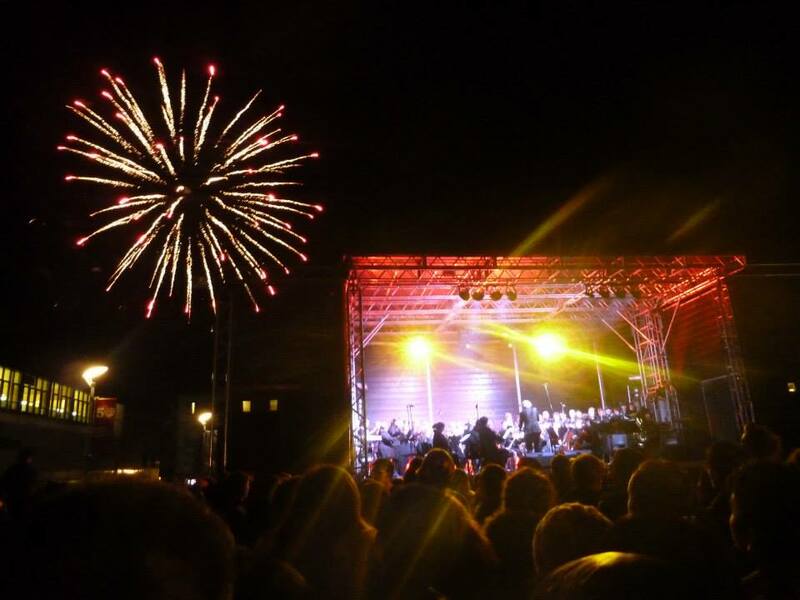 Highlights included the dramatic ending to the Good the Bad and the Ugly by the Brass Band, with the conductor being theatrically ‘shot’ and Orchestra and Choir’s fantastic joint performance during the fireworks. 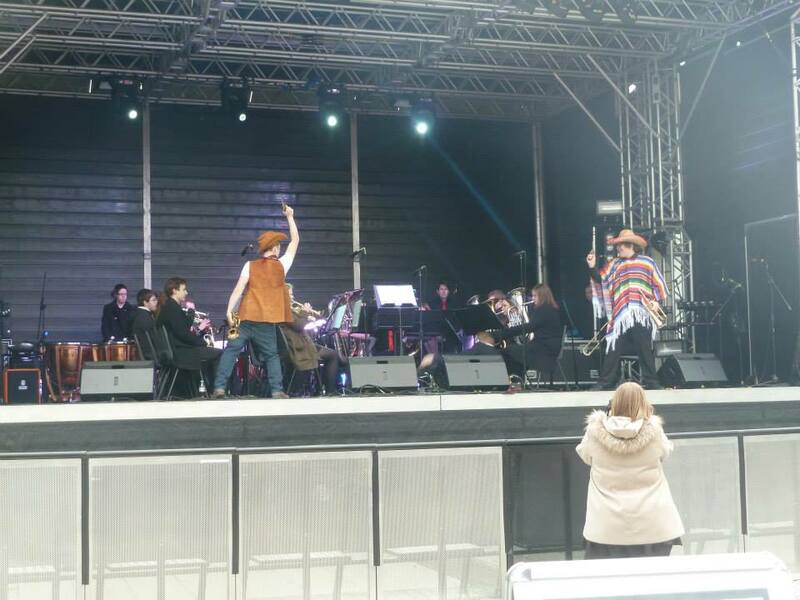 There were a few mishaps during the day (including a certain big band player being missing at the start of their set), but overall I think every member of the society thoroughly enjoyed themselves and it was a hugely successful day for all! This joint venture for Comic Relief nicely rounded off the end of term for ULMS, with members of our Symphony Orchestra joining the Haffner Orchestra and Lancaster Singers, and guest conductor Rainer Hersch, to put on a show that combined classical music with comedy in order to raise money for charity. Attendance was great, and a good night was had by all, with some excellent comedic performances from both Rainer and the orchestra and choir. Together we raised £5,264 for Comic Relief – a great night and a great achievement, definitely something to be proud of as we move into the Summer term! ← Socials Update – Second Half of Lent Term 2015!